QUEENSLAND kids are leaving primary school unable to swim, because schools are failing to teach them the basic survival skills needed to keep themselves safe in the water. 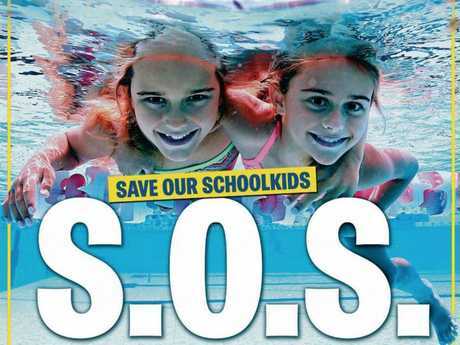 Despite the Sunshine State's abundance of beaches, backyard pools and rivers and dams, Queensland is the only state in Australia that does not have a compulsory or comprehensive State Government-funded swimming program in its primary schools. 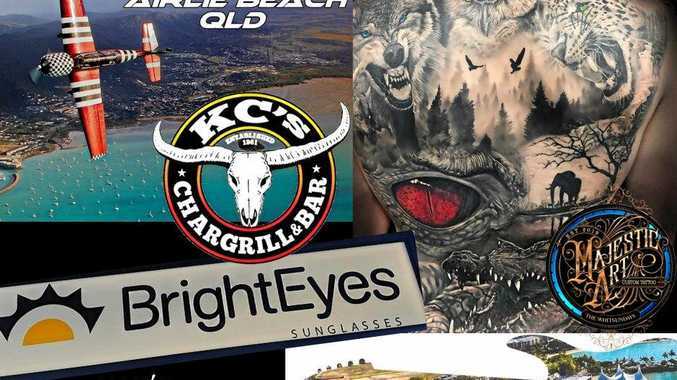 Today, The Courier-Mail and 45 other News Queensland publications - with the backing of major bodies such as the Australian Water Safety Council, Royal Life Saving Society Australia, Surf Life Saving Queensland and leading Olympians - is launching an S.O.S. campaign to "Save Our Schoolkids". Experts warn of a generation of young people who can't swim to save themselves and have called for immediate action to prevent a rise in drownings and rescues. Our campaign is calling on the State Government to commit to compulsory swim and water safety lessons in Queensland primary schools. Students would have to achieve a set benchmark - including swimming 50m, treading water for two minutes and being able to recognise potential dangers - as part of the program promoted by the Australian Water Safety Council (AWSC). "Queensland has somewhat taken it (swimming ability among kids) for granted,'' he said. News' Queensland newspapers and websites have joined an unprecedented campaign calling for swimming lessons in all Queensland schools. Mr Scarr said Western Australia, South Australia, Tasmania, the ACT, NSW, and more recently, Victoria, had implemented school-based programs. At the most recent National Swimming and Water Safety Education Symposium, it was revealed Tasmania's extensive initiative was taken up by 100 per cent of government schools, ACT's 99 per cent, South Australia's 98.9 per cent, WA's 97 per cent and NSW 85 per cent. Victoria introduced compulsory lessons this year after a successful pilot program that followed a $9.15m funding boost from its state government. The Queensland Government was unable to say how many of their students were involved in school-based programs. In Queensland, swimming and water safety lessons are encouraged as part of the curriculum but are not compulsory or benchmarked, according to Education Queensland. State Government funding is available for pool hire and transport costs, but lessons are at the principal's discretion and sometimes part of health and physical education classes. "The decision will depend on the school context and availability of appropriate resources,'' a spokesman said. 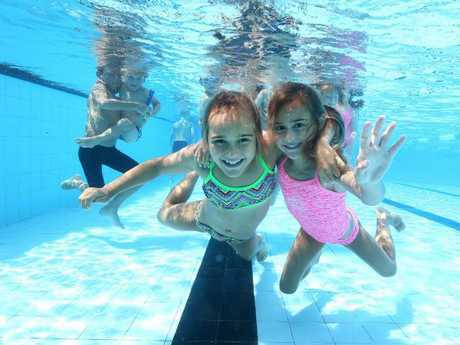 Last year, 849 Queensland state primary schools received $1,003,984 in Learn to Swim funding from the State Government, an Education Queensland spokesman said. That averages out at just under $1200 a year for each school. Surf Life Saving Queensland chief George Hill said volunteers and lifeguards were alarmed by the growing number of young people getting into trouble in the ocean. "We are seeing more and more young people unable to cope in the water and in this state, which offers a year-round swimming environment, it's imperative we give them the skills and knowledge to stay safe,'' he said. Mr Scarr said many parents were diligent in sending kids aged up to four or five to lessons, but then it stopped as the family focus often turned to soccer, football or netball. "As a consequence, we are seeing children losing the chance to develop the swimming and survival skills that previous generations enjoyed. Mr Scarr said targeting of children during primary years was "absolutely critical'', as they needed to learn the vital skills before their teenage years when they ventured into waterways without being under the watchful eyes of parents. "For us, it makes sense to start in Year 2 and 3 otherwise we risk leaving it too late. There needs to be a commitment and it has to happen urgently,'' Mr Scarr said. The Catholic and independent school sectors said many of their schools offered water safety and swimming lessons. Independent Schools Queensland executive director David Robertson said that while swimming was not mandated, most independent schools ran programs. 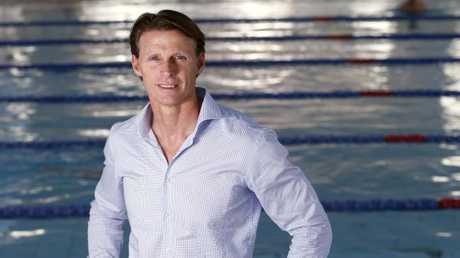 "Queensland independent schools recognise the importance of educating students about water safety and supporting them to be proficient swimmers," Mr Robertson said. Royal Life Saving Society Australia recently hosted a World Health Organisation conference attended by seven countries from the Asia-Pacific region. The conference was advised that governments had to intervene to ensure swimming and safety programs for children, and primary schools were promoted as the best place to roll out initiatives. Parent surveys have identified cost as the major barrier to swimming lessons. Senior instructors say prices range from $16 and $20 with discounts offered for multiple visits or siblings. Most families opt for one session a week, with about 20 per cent paying for two.